Home » Health » What Is Cystic Fibrosis? Cystic Fibrosis is a genetic disease that causes the mucus in the body to become thick and sticky, thereby blocking various channels, especially the respiratory and digestive tract. Under normal circumstances, the mucus in the body is liquid, slippery, and acts as a lubricant. While in people with cystic fibrosis, there are abnormalities in the gene that cause mucus to become sticky and inhibit a number of channels, including the channels found in the lungs and pancreas. This condition leads to respiratory and digestive disorders for the sufferer from an early age. Cystic fibrosis can be diagnosed by blood tests in newborns. If diagnosed with cystic fibrosis, treatment is usually a combination of drug administration and therapy. Operation options can also be made if the condition is severe. The form of treatment will depend on the health condition and symptoms experienced by the patient. Symptoms of cystic fibrosis may vary depending on the severity of the disease. Symptoms can appear after birth or just appear when someone has grown up. Airways widen due to inflammation (bronchiectasis). In addition to the above symptoms, lung infections are also susceptible to cystic fibrosis sufferers because the mucus becomes a suitable place for bacterial proliferation. Weight loss or even stunted growth due to undigested food so that people with nutritional deficiencies or malnutrition. Fecesy, oily, and strong-smelling stool texture. Interruption of early sewage (meconium) process on the first or second day after birth, due to blockage. This condition is called meconium ileum. Baby's skin color turns yellow (jaundice). Nasal infections, such as nasal polyps and sinusitis . Diabetes from the pancreas can not produce enough insulin. Infertility in men due to obstruction of the channel that carries sperm, as well as sterility in women due to disruption of menstrual cycle and thick fluid in the uterine wall. Bone condition is weakened and thinning ( osteoporosis ). Urinary incontinence due to loss of automatic control of the bladder so that urine can seep out at any time. What Is Melanoma Eye Cancer? Cystic fibrosis is a hereditary disease or disorder obtained by a person from both parents due to mutations in the gene. Half of the children who have parents with this genetic disorder are carriers of a nature ( carrier ), which may be able to decrease this abnormality in offspring. While a quarter became cystic fibrosis patients. The genetic disorder alters the proteins that regulate the salt in and out of cells, thus forming sticky mucus in various body channels. Diagnosis to determine the presence of cystic fibrosis or cystic fibrosis can be done since the newborn. The goal is that treatment can be done as early as possible. One of the most common types of checks is DNA testing. In this method, damage to the gene that causes cystic fibrosis can be detected. Before a DNA test is performed, the doctor will usually recommend a blood test first to see an indication of cystic fibrosis when the baby is 8 days old. Furthermore, if deemed necessary, genetic or DNA examination may be performed. This examination is done by taking samples of DNA from saliva or baby's blood. Another type of examination is a sweat sample test. The purpose of this examination is to detect the presence of cystic fibrosis through measurement of salt levels in sweat. Generally salt levels of patients with cystic fibrosis higher than normal size. Examination of sweat samples usually can be done at the time the baby is at least 2 weeks. The next examination to determine the diagnosis of cystic fibrosis is the nasal potential difference test . In this examination, the electrode is mounted on the nose to see the smooth flow of salt inside the nasal passages. In addition there is an examination of the function of organs to measure the health of the liver and pancreas. This method can also be used to detect the symptoms of diabetes and is usually performed regularly after the patient is ten years old. Scans with X-rays to get a picture of the chest, including the heart and lungs. Scan with a CT scan to see serious interference with the pancreas, lungs, or other organs. Examination of liver function to detect any complications of cystic fibrosis. Examination of the throat or sputum to find out the bacteria that cause the infection. Examination of lung function as well as analysis of oxygen and carbon dioxide levels in the blood to assess lung performance. Stool analysis to see the body's ability to digest and absorb nutrients in food. This examination is also recommended for children or adults who have not done blood tests at birth, especially those with recurrent infections, infertility (in men), pancreatitis or pancreas inflammation, and nasal polyps. The most common drug used is antibiotics to fight infections in the lungs. This form of antibiotic use varies, some are taken as capsules, pills, or syrups, and some are used by infusion or injections. Examples of antibiotic drugs for cystic fibrosis include tobramycin and ciprofloxacin . In addition to antibiotics, other drugs may also be used to reduce inflammation of the lungs, such as prednisone or fluticasone into the class of cortocosteroids, cromolyn entering the membrane stabilizer group, and ibuprofen into the nonsteroidal antiinflammatory drug class (NSAIDs). Mild volume control drugs and mucus thaw in the lungs can also be prescribed for people with cystic fibrosis. Examples of this type of drug are hypertonic solutions to clear mucus in the lungs, deoxyribonuclease (DNase) which serves to thin the mucus in the lungs, mucolytics (eg acetylcysteine ) to reduce the level of mucous viscosity in the intestine, and ivacaftor to reduce mucus levels in inside the body. Therapy to remove viscous mucus from the body through a slap on the chest or back, breathing technique, or special tool. Pure oxygen therapy to cope with decreased oxygen levels in the blood and prevent pulmonary hypertension. Physical exercise and exercise to improve fitness. Modified postural drainage , so that mucus is easily removed from the lungs by changing body position. Handling of cystic fibrosis with surgical procedures is advised by the doctor if symptoms are worsening and can no longer be treated with medication or other methods. 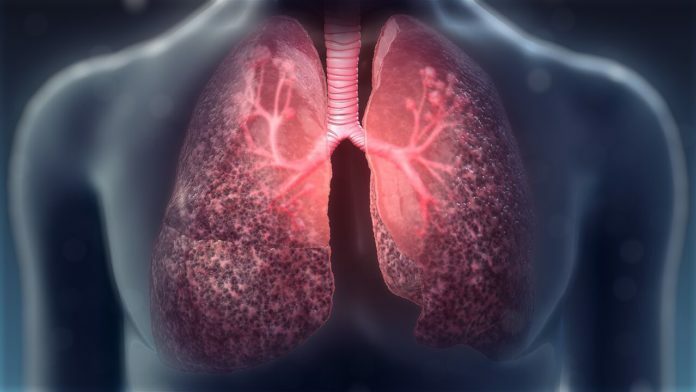 In cases of severe cystic fibrosis with lungs that are no longer functioning, lung transplant surgery may be the single most effective way to prolong the life of the patient, although the operation itself is considered to be very risky. Operative action is also required if cystic fibrosis causes blockage of the large intestine, to remove the blockage. Chronic infections, such as bronchitis, pneumonia , and sinusitis. Pneumothorax , the accumulation of air in the pleural cavity (the cavity that separates the lungs and the chest wall). Bronchiectasis, namely damage to the respiratory tract that causes the patient more difficult to remove sputum. Acute exacerbations, ie symptoms of sudden deterioration, are characterized by shortness of breath or cough for several days or weeks, and require hospitalization. Haemoptysis or coughing up blood, due to depletion of the walls of the respiratory tract. Failed breathing due to worsening lung condition. 0 Response to "What Is Cystic Fibrosis?"